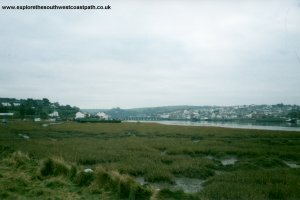 Starting from the town of Bideford, on the banks of the river Torridge, the path follows the Torridge Estuary north through Northam and Appledore. 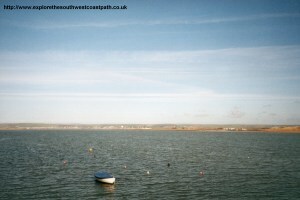 There is a marshy area which has to be crossed by stepping stones around here, and the path also goes around the back of the working ship yard at Appledore. 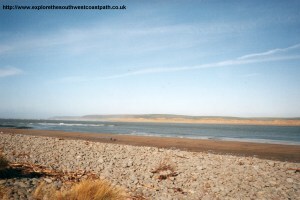 After Appledore, the path meets the coast, giving views over towards Saunton and Croyde then enters the Northam Burrows Country Park. 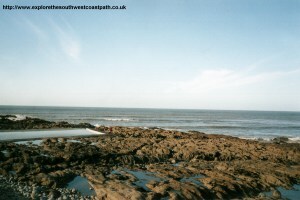 The path rounds the coast in the park, giving views round the coast towards Clovelly. It is possible to walk on the beach at low tide, or stick to the coast path. The beach is a good sandy beach, which spreads for a couple of miles. It is backed by a pebble ridge, that protects Northam Burrows behind. Bideford is easily accessed from the main A39 through North Devon and the A386, which joins the A30 near Okehampton. There is a reasonable amount of car parking available in the town. If you're using public transport, there are frequent bus services to Bideford from Barnstaple (which also has a station). There are also bus services from Clovelly, Plymouth, Tavistock, Lydford, Okehampton, Hatherleigh, Torrington, Exeter, Crediton, North Tawton and Torrington. There is a rail line from Exeter to Barnstaple, from where you can then catch the bus round to Bideford. See the link below for the full timetable of these services. There is a reasonable range of accommodation in Bideford and Westward Ho! There are a lot of camp and caravan sites around Westward Ho! There is a tourist information centre in Bideford, which carries a full list of accommodation in the area. For more information see the links below. 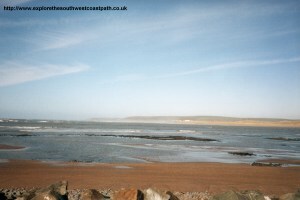 The Beachside Holiday Park, Westward Ho! Surfbay Holiday Park, Westward Ho! Bideford is one of the larger towns in North Devon, with good refreshment facilities. The bridge is famous, because each of the arches is a different size. This is because the arches were built to represent local parishes. The more money contributed by the parish, the larger the arch. The coast path starts on the quay. Head North along the quay until you get to the end. The path goes through the housing estate as you go out of the town, and there is a bit of a climb here. There is some road walking involved through Northam, but the path then starts again as you head North out of Northam towards the National Trust property of Borrough Farm. The path pases through woods before coming out again at a small beach. There are stepping stones accross the marshy area here, so take care when crossing, especially at high tide. The path is close to the coast here and there is an alternative in land route if the path is blocked. You have to head in land briefly to go round the back of the Appledore Ship yard. As you round the ship yard, you join the road into Appledore. Appledore is a pleasant village, which gives good views accross the river estuary towards Instow. 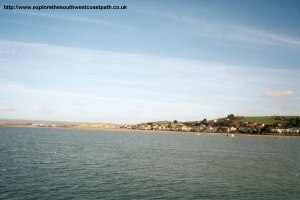 A ferry operates from the quay at Appledore to Instow in the summer. The path follows the road along the sea front through Appledore, but unfortunatly you need to stick to the main road out of the town for a short distance, so take care as it's quite a busy road. Then turn right into the Northam Burrows Country Park. This is an area of sand dunes, with the middle area being a golf course. 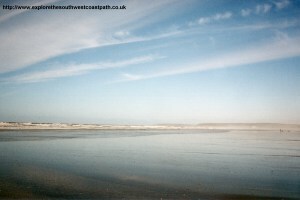 There is a path round to the headland, which gives good views of the coast north towards Saunton and Croyde. As you round the headland the pebble ridge begins. This ridge is naturally formed of many pebbles, and the ridge protects the Burrows behind from the sea. As you come further south, you have a choice of walking on the beach if it's low tide, or stick to the path behind the pebble ridge. There is a vistors centre coming up, which has information on the area. The beach is sand at low tide, but take care as there is also some clay areas and the remains of a few boats. 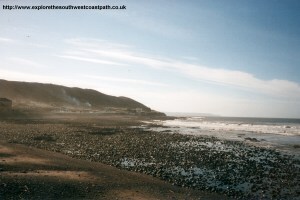 Continue along the path (or the beach), all the way into Westward Ho! The beach faces west, meaning there can be some quite good conditions for surfing along here. The beach extends for around 2 miles, so is never too crowded. You need to go up the ramp at the end of the beach and into the centre of the village, as the beach becomes rocky. There is a salt water swimming pool built into the beach here. If you're returning to Bideford by bus, the buses depart from the main road at the back of the town, slightly in land. Buses run every 30 minutes from Westward Ho to Bideford and Barnstaple. The service is number 1, operated by First Red Bus - see the link below for the timetable. Ordnance Survey Landranger map 180 covers this area of the coast path and is available from most book shops nationwide. It is also stocked at the Barnstaple Tourist Information Centre. 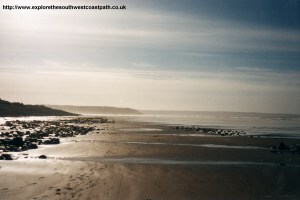 multimap is a web site which provides maps of the UK, including around Bideford and Westward Ho!. 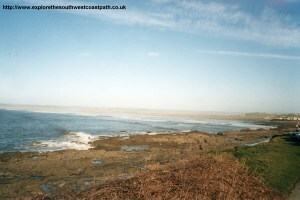 The links below will be of most use to the coast path from Bideford to Westward Ho!. These maps join to provide the complete coast path between the two points.